Trinidad is the third oldest settlement in Cuba and a popular destination for those who are looking to combine endless days on the beach with outdoor activities and cultural visits. Trinidad holidays offer all these and more, transforming what may look like a regular holiday into a unique travel experience. Trinidads charm rests on the pedestrian streets, tile roofs, colourful and beautifully restored houses, making it an idyllic spot for strolling. Trinidad is divided into two parts: the historic centre with museums and churches and the other part with hotels, restaurants and beaches. Old Trinidad revolves around Plaza Mayor, where aristocrats built their palaces over the centuries. 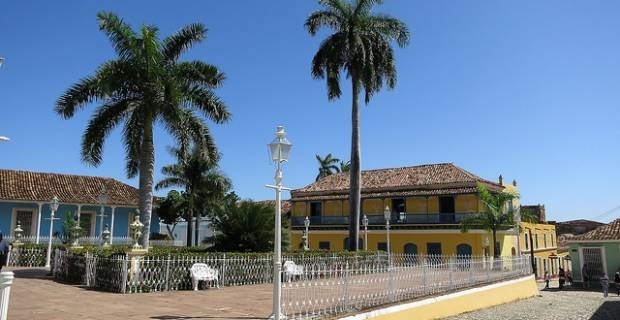 Start your Trinidad holiday by visiting Palacio Cantero, which houses the historical museum of the city. If you have time, you should also visit the Romantic Museum and the Museum of Colonial Architecture. The church of the Santissima Trinidad, completed in 1892, is the only Gothic religious building in Cuba. The most famous monument of Trinidad is Convento de San Francisco de Asisi, a former monastery that now houses a museum. Plaza Mayor is the centre of Trinidad and was declared an UNESCO World Heritage Site in 1988. The rich surrounding buildings were built in the eighteenth and nineteenth centuries by wealthy planters from Valle de los Ingenios. Many of these buildings painted in pastel colours and featuring the red tile roofs that are specific to the city are nowadays museums that you can visit to get a glimpse of the way life changed in Trinidad over the centuries. The Trinidad beach par excellence, Ancon Beach is located 12km south of the city centre and it is perfect for snorkelling or other water sports. The temperature of the water is warmer than that on the Atlantic coast, making the beach ideal for a relaxing day during your Trinidad holiday.